Back in March 2013, I was trying every avenue to find a timeline of obsolescence I’d seen once during grad school. 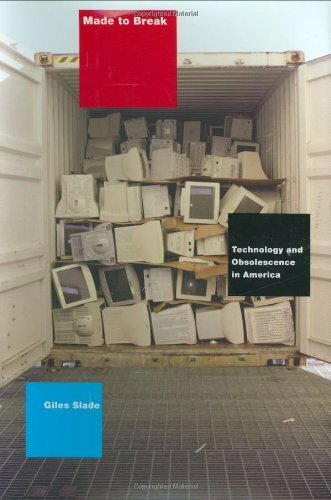 Even with the help of the Swiss Army Librarian, I came up empty-handed (though we did find a lot of other cool stuff, like the book Made to Break: Technology and Obsolescence in America by Giles Slade). In the end – nearly two years later, as it happens – it was another book that led me to find the original piece paper I’d had in mind. That book was The Life-Changing Magic of Tidying Up by Marie Kondo (bet you didn’t see that coming, did you?). I’ve spent a good chunk of the past two weeks going through all the things in my apartment – clothes, books, technology, media, and lots and lots of papers – and at last, I found the timeline of obsolescence that I was looking for almost two years ago. Repair shops – the reason I was looking for this timeline in the first place – apparently went out of fashion (or “significance”) just before 2010, as did mending things, generally. Fortunately, the “predicted death date” for the things on the timeline is “not to be taken too seriously,” and since “a good night’s sleep” is coming under the axe just before 2040, I just have to hope that they’re wrong about that one. Check out the extinction timeline yourself. Anything strike your interest? Do you agree or disagree with the predictions for the next 35 years? Discuss. This fall, I enrolled in, and completed, my first first MOOC (massive open online course), Introduction to Cyber Security at the Open University (UK) through their FutureLearn program. I found out about the course almost simultaneously through Cory Doctorow at BoingBoing and the Radical Reference listserv (thanks, Kevin). The free eight-week course started on October 15 and ended on December 5. 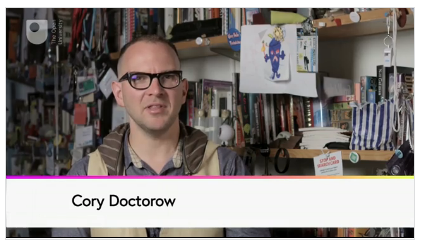 Each week started with a short video, featuring course guide Cory Doctorow, and the rest of the week’s course materials included short articles and videos. Transcripts of the videos were made available, and other materials were available to download in PDF. Each step of each week included a discussion area, but only some of the steps included specific prompts or assignments to research and comment; facilitators from OU moderated the discussions and occasionally answered questions. Each week ended with a quiz; students had three tries to get each answer, earning successively fewer points for each try. Week 1: [Security] Threat Landscape: Learn basic techniques for protecting your computers and your online information. Week 4: Networking and Communications: How does the Internet work? The FutureLearn website was incredibly easy to use, with a clean and intuitive design, and each week of the course was broken down into little bite-size chunks so it was easy to do a little bit at a time, or plow through a whole week in one or two sessions. I tended to do most of the work on Thursdays and Fridays, so there were plenty of comments in the discussions by the time I got there. Identify your information assets: these include school, work, and personal documents; photos; social media account information and content; e-mail; and more, basically anything you store locally on your computer or in the cloud. What is the value (high/medium/low) of this information to you? What are the relevant threats? Passwords are how we identify ourselves (authentication). Passwords should be memorable, long, and unique (don’t use the same password for different sites or accounts). Password managers such as LastPass or KeyPass can help, but that is placing a lot of trust in them. Password managers should: require a password, lock up if inactive, be encrypted, and use 2-factor authentication. Use 2-factor authentication whenever it is available. 85% of all e-mail sent in 2011 was spam. Anti-virus software uses two techniques: signatures (distinctive patterns of data) and heuristics (rules based on previous knowledge about known viruses). The Sophos “Threatsaurus” provides an “A-Z of computer and data security threats” in plain English. The Internet is “a network of networks.” Protocols (e.g. TCP/IP) are conventions for communication between computers. All computers understand the same protocols, even in different networks. Wireless networks are exposed to risks to Confidentiality, Integrity, and Availability (CIA); thus, encryption is necessary. The best option currently is Wireless Protected Access (WPA2). The Domain Name Server (DNS) translates URLs to IP addresses. Any data that can be represented in binary format can be encrypted by a computer. Pretty Good Privacy (PGP) is a collection of crypto techniques. In the course, we sent and received encrypted e-mail with Mailvelope. Transport Layer Security (TLS) has replaced Secure Sockets Layer (SSL) as the standard crypto protocol to provide communication security over the Internet. Firewalls block dangerous information/communications from spreading across networks. A personal firewall protects the computer it’s installed on. Virtual Private Networks (VPNs) allow a secure connection across an untrusted network. VPNs use hashes, digital signatures, and message authentication codes (MACs). Data loss is often due to “insider attacks”; these make up 36-37% of information security breaches. Data is the representation of information (meaning). The eight principles of the Data Protection Act (UK). Much of the information about legislation in Week 7 was specific to the UK, including the Computer Misuse Act (1990), the Regulation of Investigatory Powers Act (2000), and the Fraud Act (2006). File permissions may be set to write (allows editing), read (allows copying), and execute (run program). Use a likelihood-impact matrix to analyze risk: protect high-impact, high-likelihood data like e-mail, passwords, and online banking data. Text messages: Text Secure (doesn’t work on Apple devices, unfortunately, and messages are only encrypted if both people have it). See the EFF’s Secure Messaging Scorecard for other options if you have an iPhone. See also this excellent list of privacy tools from the Watertown Free Library. Privacy/security is one of those topics you can’t just learn about once and be done; it’s a constant effort to keep up. But as more and more of our data becomes electronic, it’s essential that we keep tabs on threats and do our best to protect our online privacy. One of my favorite things about librarianship is the culture of sharing. Libraries “do a lot with a little,” and we can’t afford to be reinventing the wheel all the time. If a librarian creates a display you admire, makes a useful handout, or runs a successful program, chances are she’ll be happy to help you duplicate or modify it for your library. So when some of us in the Adult Services department got a question from our former co-worker, an amazing all-around librarian who is now working in Adult Services, we were happy to help. If there are ongoing programs (movie night, book club) that are already working, by all means keep those going. You don’t want to try to do too much (or add too many new programs) at once and burn yourself out. Keep a list of all the good ideas you come up with or collect, and then you can refer to it when you want to try something new. Do you have a programming budget? Will other library staff be helping you, or are you on your own? Try to get ideas from the community – can you do a survey? Can you partner with community organizations? What programs are already available elsewhere (at the senior center, etc.). Try to collaborate wherever possible, instead of competing/overlapping. Go ahead and do something you’re interested in. Enthusiasm can be contagious! Food programs tend to be popular. Even if you can’t cook in the library, can you assemble ingredients, or have a potluck, or discuss cookbooks or cooking tips? Sign up for newsletters from libraries of a similar size so you can see what programs they are running and how you might adapt those (or use guest presenters). The Library Journal column “Programs That Pop” is a good source of ideas too, though some of those require a lot of staff hours. Speaking of guest presenters, are there people in the community who would volunteer to run/teach a program? How can you support them? Develop an evaluation form so that people who come to programs can let you know what they liked about it, what they didn’t like, how they heard about it, and ideas for other programs they’d like to see. If a book club is too much commitment, try a book chat, where people can come talk about any books they’ve read, instead of one particular book. Plus, everyone gets lots of suggestions this way. Be realistic. If you are expected to run multiple programs a month on your own, then create a schedule you know you can handle. Movies, book chats, a knitting group, or a discussion group on your favorite topic are things that shouldn’t take a lot of prep time but can be very popular. Mix in an author program, someone discussing bee keeping, or any interesting presenter you can find to round out the schedule. Don’t feel bad about giving up on a failing program, even if people tell you how much they enjoy it! There is a big difference between people liking an idea for a program and programs people will drive to the library to attend. Unfortunately you don’t always know the difference until you try it. Now it’s your turn, librarians who are reading this. What’s your best tip for programs? Where do you get your ideas? General advice, specific tips, and links to your favorite programming resources are all welcome. Please comment! There’s a lot we don’t say. I hope by now that readers of this blog have already seen the excellent “Things That Make the Librarian Angry” piece by Jessamyn West over at Medium; if you haven’t already, please go ahead and read it and come back. She articulates the “frustrating truth” about e-books in libraries in a way that will have librarians nodding along, and library users understanding a bit better. 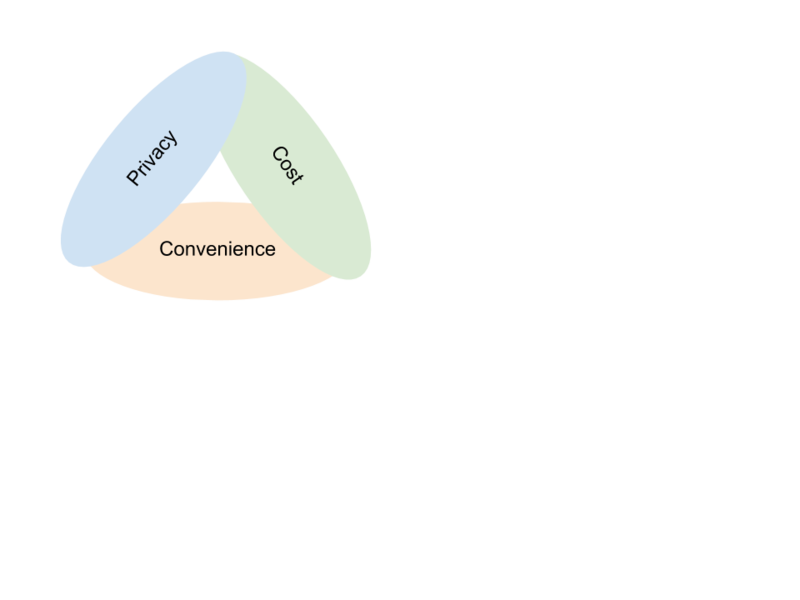 Citizens – or consumers, as we’re now usually called – often have to choose between privacy, cost, and convenience. Many web services are “free,” meaning that the company providing the service is collecting your data: you’re sacrificing your privacy for convenience and no/low financial cost. In other cases, you may pay for privacy and/or convenience. At least you get one or two of the three, though; for libraries, as West puts it, “There is no good ebook lending solution, yet.” Libraries pay more than consumers do for e-books and digital audiobooks, but that extra cost doesn’t allow us to give access to more people at a time; most lending models are still “one copy, one user” (1C1U), meaning that publishers require DRM that restricts what is otherwise technically possible. West makes an excellent point: this “byzantine hokey-pokey dance” to access “free” material spreads a “deceptive and unnecessary ‘tech is hard’ message.” For some people, this means mere frustration, but for others – those who are under-confident in their tech abilities to begin with, who preface a conversation with “I’m computer-illiterate” or “I don’t know how to work this thing” – it’s a little bit heartbreaking. The sooner we solve this, the better. I read a lot of picture books, and a lot of YA (to say nothing of adult fiction and nonfiction). 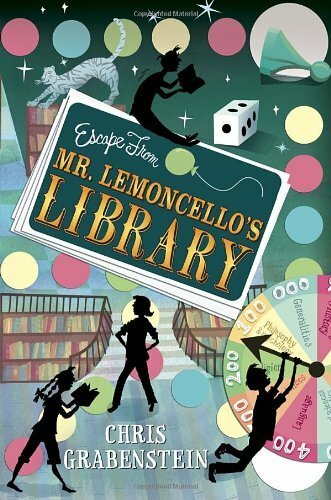 Recently, though, I went on a middle-grade kick, and found some fantastic books. (Plus, it felt great to read an entire grocery bag full of books in a week. You can do that when the print is a little bigger, and you don’t have to go to work.) Some of these were recommended to me by friends and librarian-friends, some I chose from the ALSC summer reading lists for grades 3-5 and 6-8, and others came from review journals or blogs. 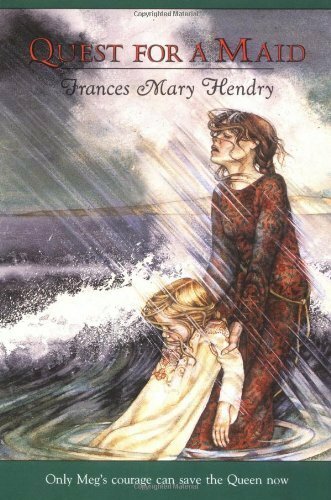 Quest for a Maid by Frances Mary Hendry: Someone at my book club was staggered that I hadn’t read this growing up, so I remedied the situation, and this book was right up my alley. It’s got a little bit of magic and a lot of adventure, with a gutsy young heroine, Meg, and her loyal friends: Peem Jackson, a cottar’s boy whose life she saved (and who, in turn, saved her life several times over), and Davie Spens, a clever young boy with a harelip that prevents others from understanding him. (Meg can understand him, though, and they wind up betrothed at a young age.) Meg winds up as the protector of the young princess of Norway during an ocean crossing that is cursed – by Meg’s own adored older sister Inge. (Inge is definitely the most complex character in the book, but it’s Meg’s story.) This fits perfectly between The Boggart by Susan Cooper and The Golden Compass by Philip Pullman. The Scots dialect isn’t too tricky, and there’s a glossary in the back. 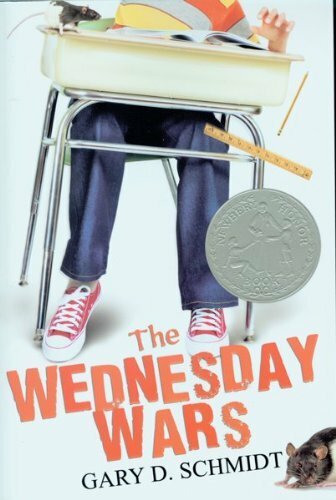 The Wednesday Wars by Gary D. Schmidt: Set on Long Island during the 1967-68 school year, this is the story of seventh-grader Holling Hoodhood, lone Presbyterian in a class full of Catholics and Jews, often at the mercy of his teacher, Mrs. Baker, who makes him read Shakespeare, probably because she hates him. (Actually, Holling realizes pretty quickly that she doesn’t, and also that Caliban has some pretty good curses.) Beyond ordinary seventh-grade concerns, world events intrude into the everyday life of teachers and students, most notably the war in Vietnam. 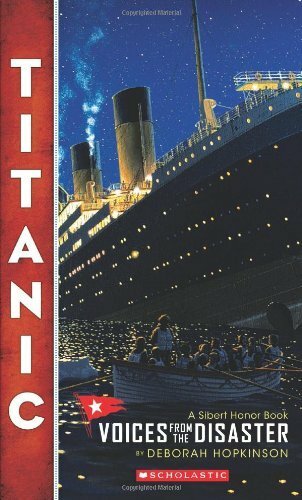 This is a great piece of realistic recent-historical fiction that features a character who is beginning to be aware of the world and people around him, including his conservative father, flower child sister, disempowered mother, and his teacher, who, it turns out, wasn’t born behind that desk. Doll Bones by Holly Black: “He wondered whether growing up was learning that most stories turned out to be lies.” Poppy, Zach, and Alice are all struggling with the transition from childhood to adolescence: Zach’s dad, who has been absent for years, wants him to be more manly; Alice’s grandmother will ground her for the slightest offense; and Poppy is afraid that she isn’t changing, when her closest friends are. 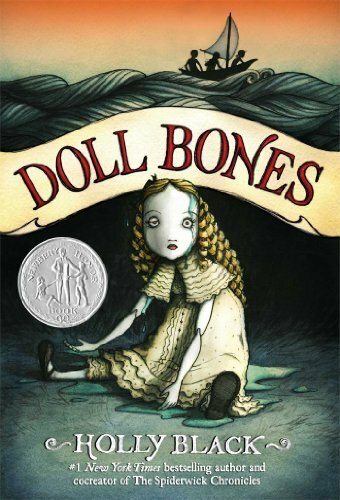 These realistic fears blend with the surreal: a doll they call the Queen makes ghostly overtures to Polly, sending all three of them on a quest to return her to her home. Will this be their last game? Or is it for real? Between Black’s The Coldest Girl in Coldtown and Neil Gaiman’s Coraline, I actually expected this to be much creepier than it was. It has remained pretty vivid in my memory, though. 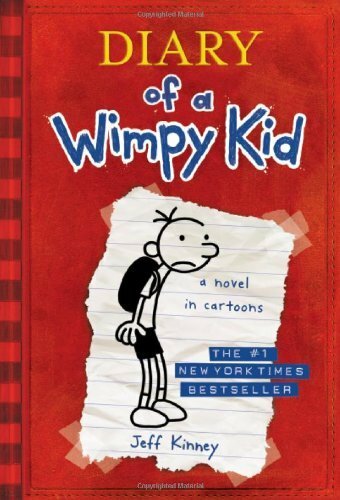 Diary of a Wimpy Kid by Jeff Kinney: This “novel in cartoons” takes us through a year of middle school for Greg Heffley. 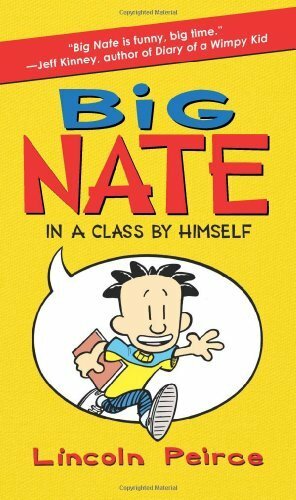 Greg’s certain he’s amazing, but he’s stuck with a lame best friend, a jerk older brother, and bullies at school. He gets himself (and hapless friend Rowley) in trouble trying to circumvent rules and/or make money, but despite the repercussions, he doesn’t really change his ways – he continues blithely on with his self-confidence intact. He’s honest, if unreflective, in his journal, and it’s clear he’s trying to do his best to jump through all the hoops set up by school and parents. The cartoons are entertaining and I can definitely see the appeal, though I’m not the target audience. 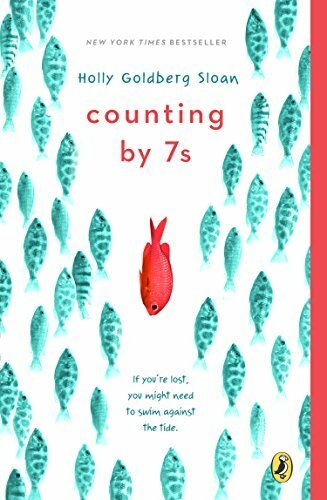 Counting By 7s by Holly Goldberg Sloan: “For someone grieving, moving forward is the challenge. Because after extreme loss, you want to go back.” Twelve-year-old Willow Chance was adopted at birth, and she is also a genius, but that doesn’t help her fit in during her first day at middle school. It also doesn’t help when she loses her adopted parents in a car crash. Without extended family or close family friends, Willow latches on to teenage Mai, Mai’s mom Pattie, and her brother Quang-ha. Willow’s unimpressive school counselor, Dell Duke, is also drawn in, by virtue of having been there when Willow got the news. Over the next few months, in shock and grief, Willow binds these people to her and begins to rebuild her life. Willow’s insights and the way she processes her loss are unique; this is a memorable book. Will Grayson, Will Grayson by John Green and David Levithan: This is YA, and I’ve read it before, but the audio version is amazing. Should you happen to be going on a seven-hour car ride, you can’t bring a better traveling companion than Tiny Cooper. Nightmares! by Jason Segel and Kirsten Miller: I’ve been waiting for this to hit the shelves ever since I first heard about it. Celebrity books can be hit or miss, but I had faith in Jason Segel (The Muppet Movie, How I Met Your Mother, and did I mention The Muppet Movie? ), and my faith was rewarded. I missed out on the illustrations in the print version, but his narration more than made up for it. 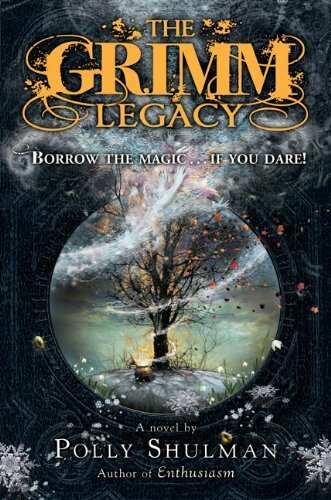 Segel and Miller used some familiar elements – a stepmother (“stepmonster”), a haunted house, a doorway/portal between worlds (the waking world and the Netherworld where nightmares reside) and spun them into an original tale about Charlie Laird, a boy who faces his fears and defeats them. Charlie is afraid – his fear is so big that it allows the door between the worlds to open – but when his little brother Jack is threatened, Charlie finds he has the courage to rescue him. Gregor the Overlander by Suzanne Collins: I’m less than halfway through this right now, but I like it very much so far. 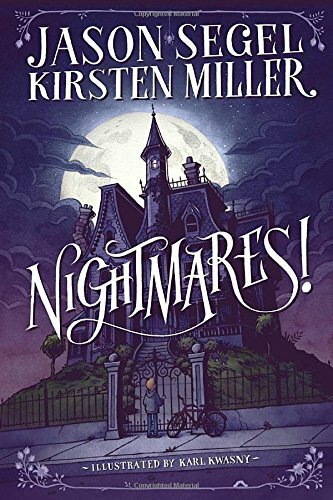 Eleven-year-old Gregor and his two-year-old sister, Boots, fall through an air duct in the basement laundry room of their New York apartment and find themselves in the Underland, which is populated by four-foot-tall cockroaches (“crawlers”), pale and violet-eyed humans, bats, and most terrifying of all, rats. Gregor realizes this is the place his father disappeared to over two years ago, and he makes it his mission to find him. 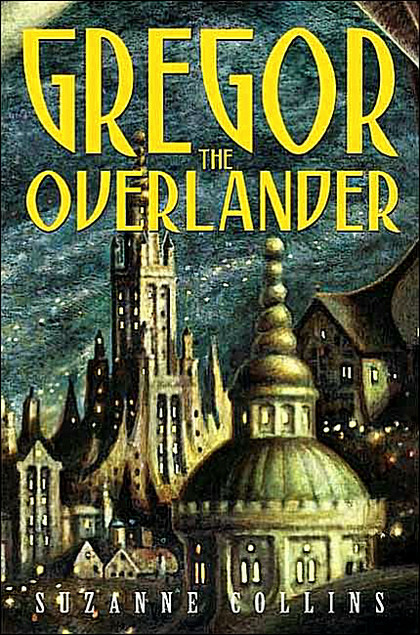 The Underlanders believe Gregor is the warrior in one of their prophecies, so they agree to help. Fly you high, Gregor: I suspect you’ll survive your mission, as this is a series now. The Federal Trade Commission (FTC) is a good resource for consumer protection (“We collect complaints about hundreds of issues from data security and deceptive advertising to identity theft and Do Not Call violations”). People should have control over their Personally Identifiable Information (PII), including sensitive personal data such as Social Security Numbers. People should know when, how, and what PII is being communicated to others. It’s always best to collect as little information as possible, only what is necessary; minimize data collection and retention. Perform a privacy audit/assessment: what information do you collect and how do you use it? Look at other libraries’ privacy policies, and the privacy policies of small/medium-sized businesses. Privacy is important not just for intellectual freedom, but intellectual curiosity. *I haven’t seen the contract language, but I would imagine this is much more difficult than it sounds, especially if a library is working with Overdrive, which allows patrons to check out Kindle books through Amazon. Amazon is a data-hungry beast. Notice/Awareness: Provide notice of information collection practices before information is collected. Choice/Consent: Give the subjects of data collection options about whether and how their personal information may be used. Access/Participation: Provide access to an individual’s personal information so that the individual can review and correct it. Integrity/Security: The data collector must take reasonable steps to make sure the data is accurate and secure. Accountability or Enforcement/Redress: There must be a mechanism for addressing and resolving complaints for failing to abide by the above four principles. Lastly, this great article was cited by one of the webinar participants. I remember reading it before (it was a Library Link of the Day on 10/4/14): “Librarians won’t stay quiet about government surveillance,” Washington Post, Andrea Peterson, 10/3/14. This webinar will be archived with the rest of Booklist’s webinars, probably within the next week.